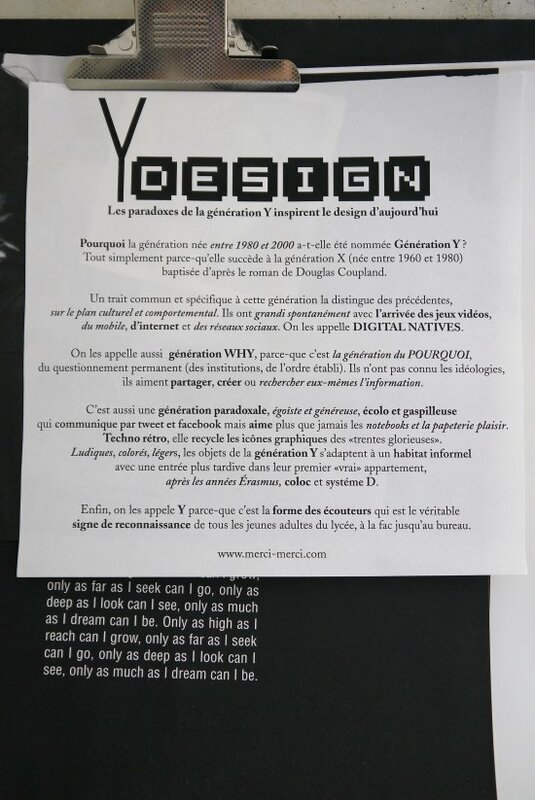 One thing I love about MERCI in Paris is the use of words on paper... Everything is always nicely presented on a kind of scribbling-pad (that's how the online dictionary calls it) For the Y Design Theme, there was a huge one explaining the Y generation and their effect on today's design. 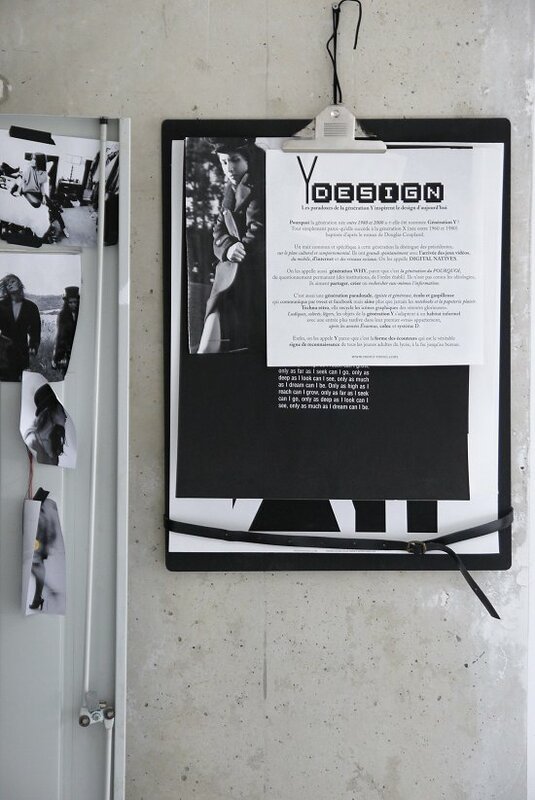 I brought one home and added it on the big clipboard hanging in my bedroom... these little pieces of paper are such great souvenirs, don't you think? Wishing you a happy weekend all and to all new people who recently joined on Facebook, twitter and Instagram ... Thank you!